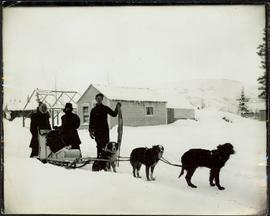 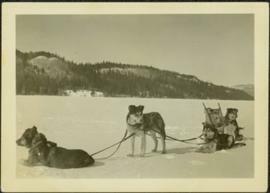 Photograph depicts a team of dogs and sled resting in a very flat snow-covered area. 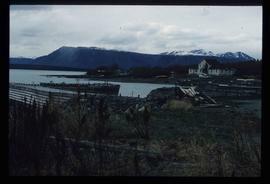 Hills in background. 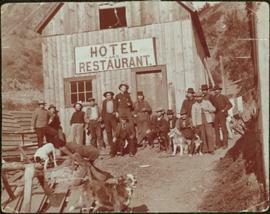 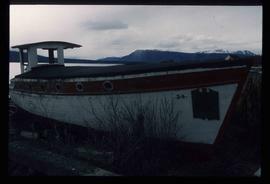 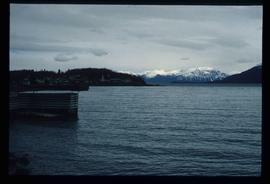 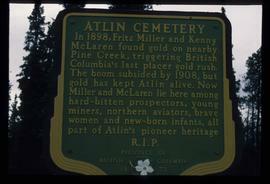 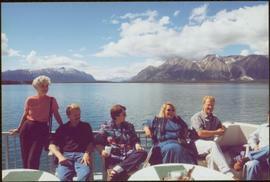 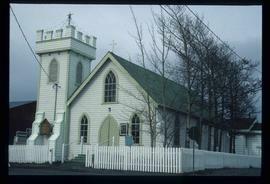 Handwritten annotation on recto of photograph: "ATLIN." 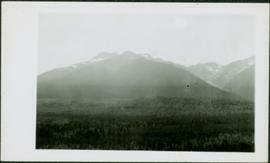 Photograph depicts mountain range in distance, forest in foreground. 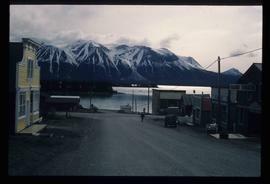 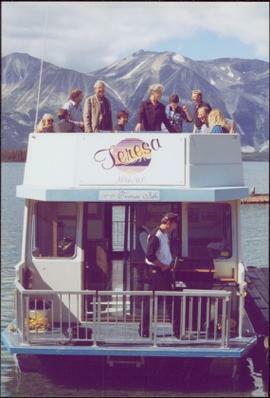 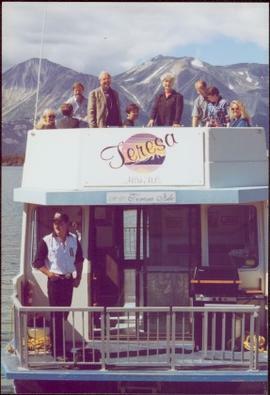 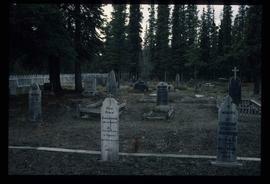 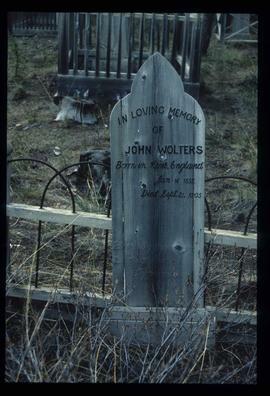 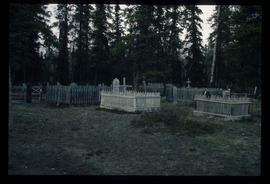 Area speculated to be near Atlin, B.C. 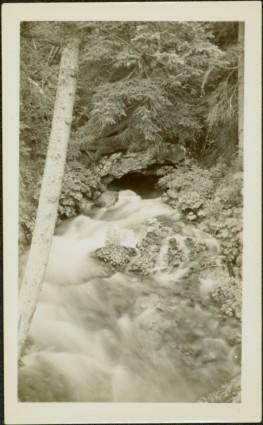 Photograph depicts water flowing from ground in forest. 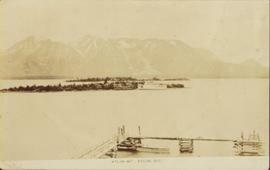 Handwritten annotation on recto of photograph: "Atlin, The Grotto, Outlet of a subterranean stream (in limestone) on way to O'Donnell River." 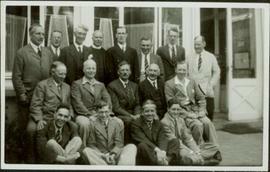 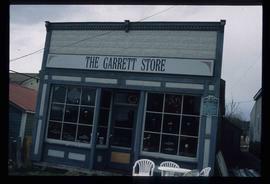 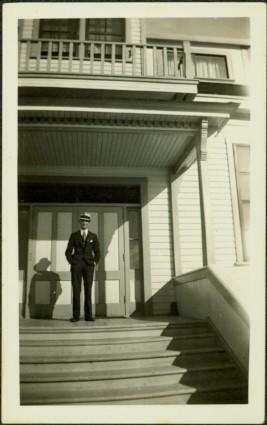 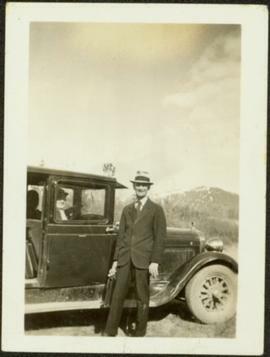 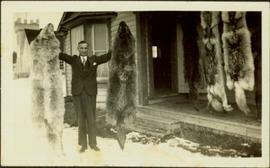 Photograph depicts Bert Glassey standing on front steps under balcony of building, windows visible in background. 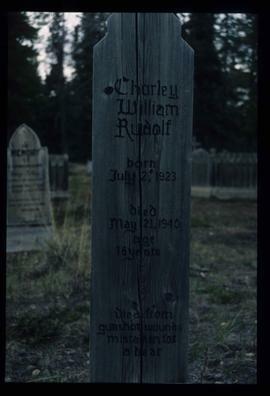 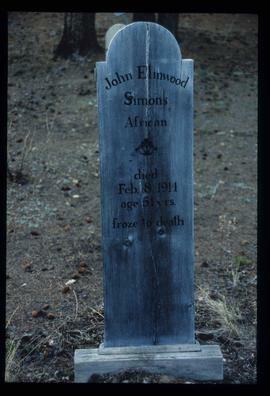 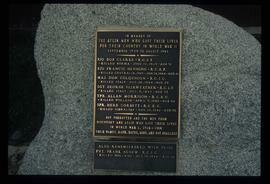 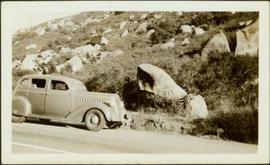 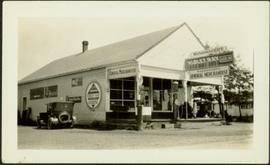 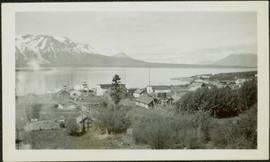 Typed annotation on recto of photograph: "Since the snow left 1936. 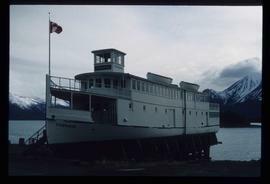 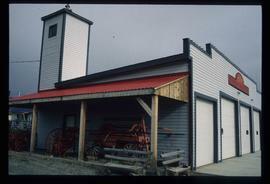 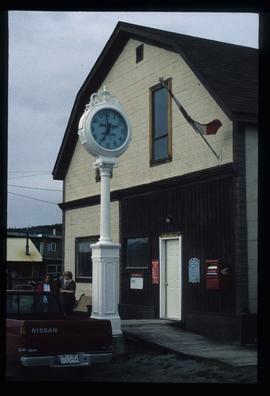 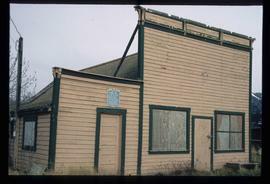 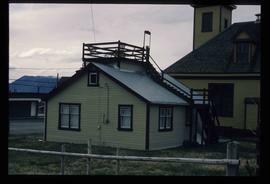 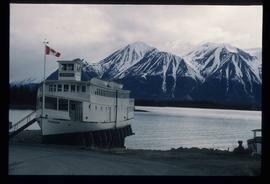 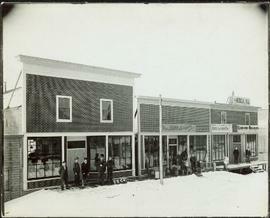 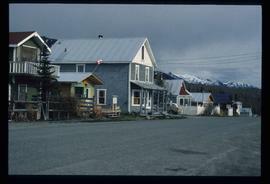 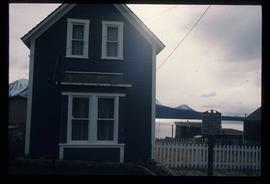 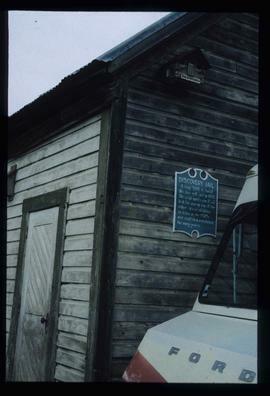 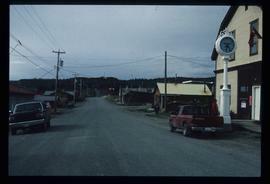 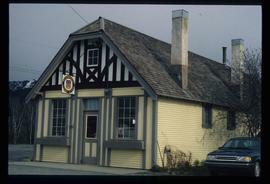 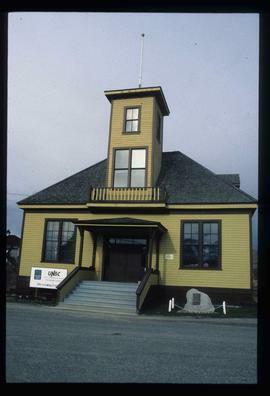 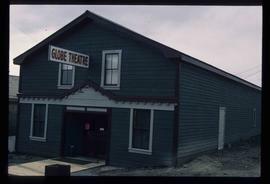 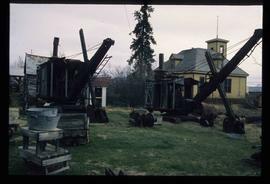 Atlin Government Building." 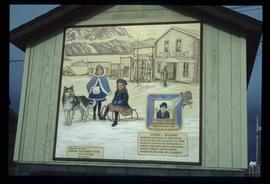 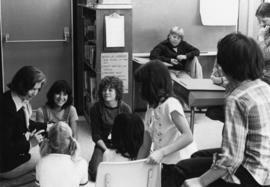 Photograph depicts Iona Campagnolo teaching inuit games to students in Atlin.